One group of Edmontonians has come to realize that songs and craft beer can make a perfect pairing. 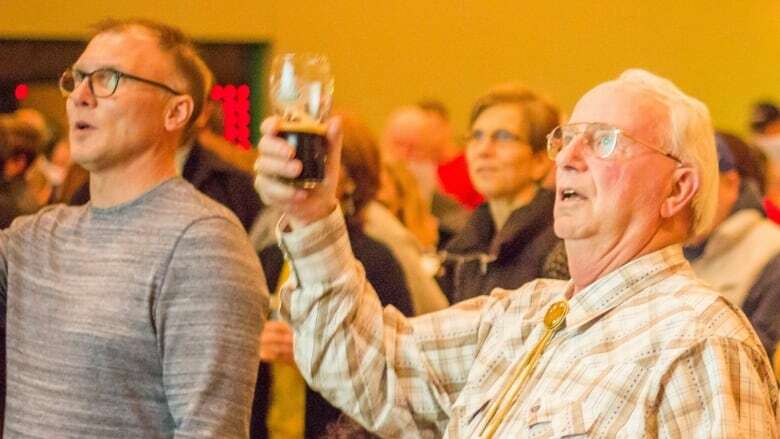 A new musical movement called Beer Choir is coming to the capital region, and it's exactly what it sounds like — the new community choral group will sing together while sampling beer at breweries, pubs and bars across the city. "It really is that simple," said Sara Brooks, the founder of the local Edmonton chapter, in a recent interview with CBC Edmonton's Radio Active. "It combines two rather fabulous things — community singing and craft beer." The club is looking to recruit new members to their ranks, and zero talent is required to join. "You do not have to be a beer expert or a beer drinker and you don't need to have a great voice." The movement started in the United States back in 2014. Since its inception, the concept went national so fast that its founder, composer Michael Engelhardt, reportedly stopped keeping up with new chapters. The clubs have just begun cropping up across the border, in Canada — capitalizing on the nation's love of good beer, and the 'zero talent required' requirements for joining up. "I had the pleasure of being at that inaugural event, which took place in Salt Lake City, Utah of all places," said Brooks, the artistic director of Accord Ensemble, a non-alcoholic community chamber choir. "Quite simply, we filled a pub, ordered our favourite pint, distributed the music and started singing." Within the choir, there is an official Hymnbook of "foolish" drinking songs available for download online, so everyone will be singing from the same songbook, said Brooks. And she will act as the official choir director to make sure everyone sings in harmony, for the most part. The focus of Beer Choir may be singing and suds, but there it's also a powerful way to foster community - and bring choral music to the masses, Brooks said. That was evident during the first official event three years ago — even the least qualified singers can make a perfect kind of harmony, she added. After a few beer, everything sounds better. "It was so simple, but those in attendance were from all walks of life," Brooks said. "From choral conductors, to choral singers, to people who had never sung a note in their lives. "It just crossed all of these boundaries." Beer Choir's inaugural event in Edmonton is happening inside the Nook Cafe on Feb 17, and everyone is invited to take part in the sudsy sing-a-long. Doors open at 6:30 p.m.
"We expect there will be a great deal of interest, so come early and get a spot."